The Lynn University Fighting Knights Women’s Soccer March ID Camp is going to be on the 3rd of March. It is a 1-day training program that will take place at the top-notch facility, Bobby Campbell Stadium. Its goal is to provide a high quality and competitive training environment for players who dream to play at the college level. 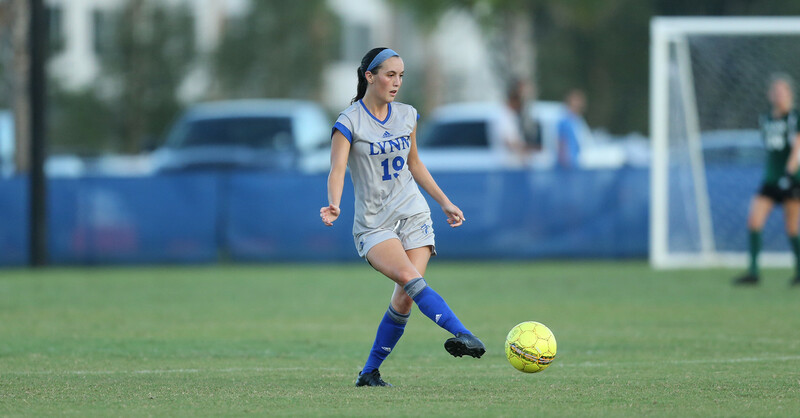 The Lynn University women’s soccer coaching staff will run the sessions with the help of its current players. There will also be special evaluation and assessment for each of the participants. Of course, the camp aims to improve the players technical and tactical understanding. It also incorporates competitive small-sided and 11v11 matches. The event starts at 9:00 AM and ends at 4:00 PM. Lynn University, originally Marymount College, is an independent, private, coeducational university in Boca Raton, Florida. The university has an accreditation from the Commission on Colleges of the Southern Association of Colleges and Schools. Lynn University is an institution that gains high recognition. In fact, it is 95th in Regional Universities South, 2018 edition of Best Colleges rankings. It also has a recognition from the Inside Higher Education as a college and university example. Currently, the university accommodates around 2,100 students at an acceptance rate of 80 percent. The student to faculty ratio is 20:1. Lynn University is using a semester-based academic calendar. Furthermore, the university takes part in the Sunshine State Conference of NCAA Division II in 15 sporting events. The athletes call themselves the Fighting Knights and their identity colors are blue and white. The Fighting Knights women’s soccer team has already 4 national titles. Cally Morrill is the head coach of the Lynn University women’s soccer team since the 2014 season. Coach Morrill has already 3 postseason appearances. Moreover, Coach Morrill is also a 1-time SAC Coach of the Year. Then, the team’s assistant coach is Alex Greco. Coach Greco is in his 1st season with the Fighting Knights coaching staff. Finally, Vinnie Cainth is the goalkeeper coach. Lynn University Fighting Knights Women's Soccer March ID Camp is a high quality and competitive training program for aspiring college players.